We had an Ofsted inspection on 25-26 September 2018 and we have been rated 'Outstanding'. The school was last inspected in 2007 and has gone through considerable change since then. We opened our new co-ed sixth form in 2014, welcoming boys for the first time. The recent two day inspection looked at all of aspects of the school including: standards of achievement, teaching and learning, the personal development and well-being of students, leadership and management and the sixth form. 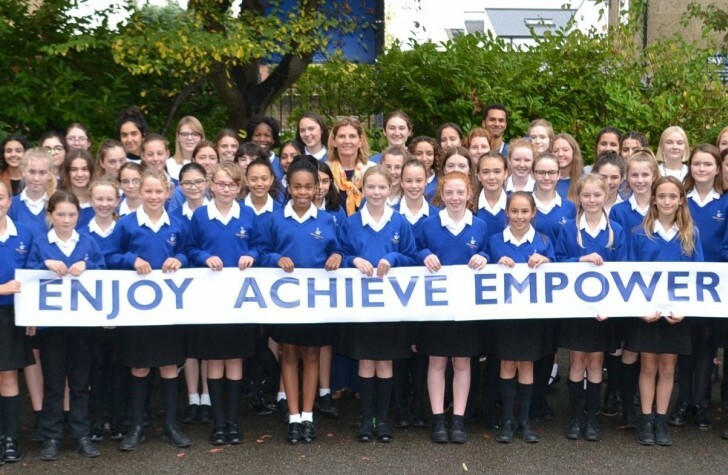 All were graded outstanding which puts Waldegrave in the top 25% of schools in the country. The Co-Chairs of Governors, Fran Perrow and Andrew Tanner, said “The 'Outstanding' Ofsted rating reflects the dedication and talent of our excellent staff. We are immensely proud of Waldegrave's success and look forward to delivering an outstanding education to pupils for the foreseeable future."